Winner of the 2012 Kurd-Laßwitz-Preis. They are just children when they first meet: Charlotte, daughter of the French ambassador, and Hiroshi, a laundress’s son. One day in the playground, Hiroshi declares that he has an idea that will change the world. An idea that will sweep away all differences between rich and poor. When Hiroshi runs into Charlotte several years later, he is trying to build a brighter future through robotics. Determined to win Charlotte’s love, he resurrects his childhood dream, convinced that he can eradicate world poverty by pushing the limits of technology beyond imagination. But as Hiroshi circles ever closer to realizing his vision, he discovers that his utopian dream may contain the seeds of a nightmare — one that could obliterate life as we know it. 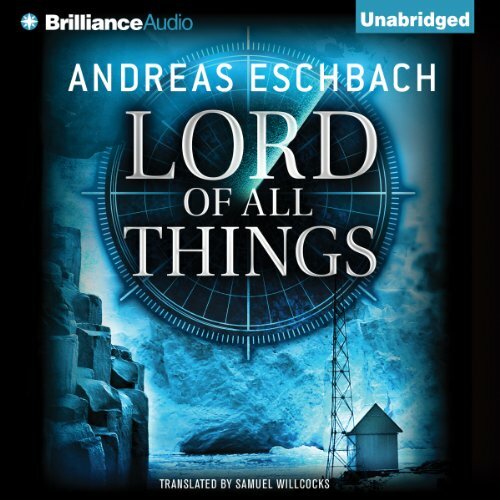 Crisscrossing the globe, from Tokyo to the hallowed halls of MIT to desolate Arctic islands and Buenos Aires and beyond — far beyond — Lord of All Things explores not only technology’s dizzying potential, but also its formidable dangers. ©2011 Andreas Eschbach and Bastei Lübbe GmbH & Co. KG. English translation © 2014 by Samuel Willcocks. (P)2013 Brilliance Audio, all rights reserved. Every once in a while, a story comes along and sweeps me away, this was one of them. This is a huge expansive story that started out with a dream of a boy that ends up challenging everything we see around us and who we are as humans in the universe. It's a slow building story that keeps cranking up over decades and leaves you wondering what is going to happen next and what does happen you don't expect. The author doesn't take the easy way out, the guy guy doesn't always win. It's a mixture of philosophy, hard SciFi, a love story and it stretches the brain. Check it out, it might leave you changed like all great books should. Very hard to put down, and many sleepless nights listening. The presentation was excellent, and the initial reason that I purchased this book was because I had heard him read another series. I highly recommend this book. I wish there were two more books and this was a trilogy! There is certainly room to keep this story going -- right out into the galaxy. This is one of those books you never want to end. Hauntingly beautiful. laughed and cried. simply astounding word smithing. i want more. The story line was intriguing, so I picked this up at some point. I expected your standard sci-fi thriller. Guy discovers amazing technology to make the world a better place. Governments and capitalists come after him and try to steal it away to rule the world. Well yes, and no. The story had me at the start with Hiroshi looking out the window at Charlotte in Tokyo. And kept me intrigued to the end on the pampas in Argentina. There were twists and turns, and they were often unexpected. The characters were real, had feeling and emotion, and actually did things that their stories would lead them to do. I loved it. I loved the story, I really cared about the main characters, and was sorry for it to end. More please. I've already picked up something else by Andreas Eschbach and hope to be entranced once again. I loved the story... mainly because of the science and the geek factor. But it also had a love story through out. The story is truly one of how we love hate ... and the flaws we all have. A story of who we were who we are and what we might become... I loved it!! I loved the story, but I was even more impressed with the voice acting. I can't even call it narration, because it was so much more than that. The opening of this book was pretty interesting with a juxtaposition of the everyday and the fantastic. But as it went on, the everyday scenes felt artificial and the fantastic were just way over the top. Sometimes it was too obvious where the plot was going. There was also a fair amount of tech talk that didn't keep my interest, as opposed to The Martian, where I never had a problem with the science. Maybe the difference is that this book has zero sense of humor. A lot of the characters are types, the nerd friend, the nasty rich guy, etc. I'm not sure if the translation had anything to do with it. The narration was good overall and didn't overdo the various accents. It does have a thought-provoking message, but I wish the author had made me care more about the characters. I have read a lot of Eschbach's books (unfortunately some of the best one have not been translated yet) and so I was expecting a lot here. And he definitely delivered. Is it his best book? Probably not, but it is still really, really good. I don't want to give any spoilers, but as Eschbach likes to do, this book is a crossover between many genres. Oh yes - Nick Podehl reads this extraordinarily well. His repertoire of different characters is out of this world and worked extremely well for this title. 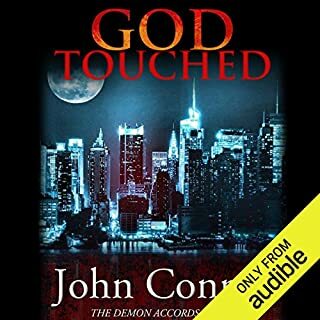 I'm not even sure how this made it into my library. I appear to have paid a mere $0.25 for it, so it must have been due to some sale/coupon, and my guess is I grabbed it because I have extreme faith in Nick Podehl. He did not disappoint and further catapulted himself up my favorite narrator list. As for the book itself, I was really surprised by how much I enjoyed it. 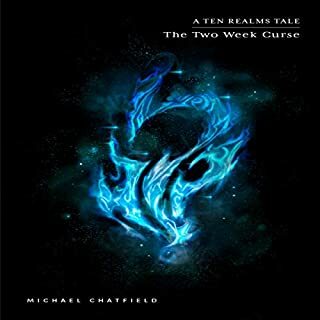 The last third of the book could be classified as science fiction, but the entire story is really the development of the two main characters, which is like singing a cappella - if you are out of pitch, there is no hiding it. The supporting characters all twine together masterfully, too. 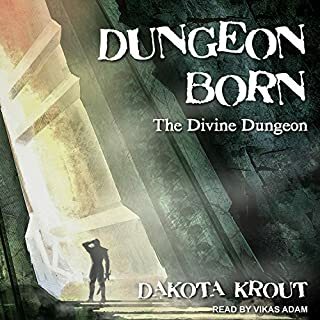 To be honest, I'm not sure I would have such a glowing opinion if it was performed by a lesser narrator, but all the pieces came together here to make a really great audiobook. It really makes you think about life, what's worthy what's a waist and how prepared are humans to give good use of technology. 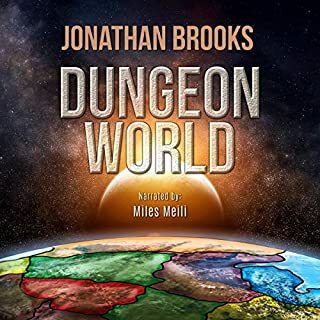 The drama that links the sci-fi aspects of the plot keeps you engaged and the sounds and voice is consistent and incredibly versatile to represent/play so many characters at different ages throughout this long adventure. 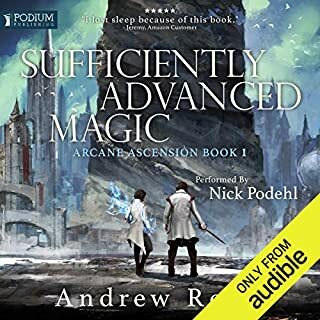 Where does Lord of All Things rank among all the audiobooks you’ve listened to so far? Hiroshi, because of the moral dilemmas he faces as in trying to get nano technology to work for everyone and then the implications of his success. The moment on the ice when the nano's reacted to the presence of the expedition. 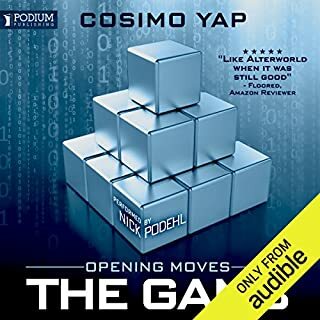 This is a long rambling story stuffed full of science and technology hung on an unusual framework of personal relations. Sometimes the story stumbles but the narrative arc pulls the story back into step. I liked the ending, a prescient warning about implications of new technology. Great idea! Author became board? What did you like most about Lord of All Things? The scope and vision of this book are impressive. The characterisation is excellent and the love arc for the two protagonists manages to be believably frustrating. Actually Charlotte to about half way through after which she just seemed to be sidelined to the role of doomed romance love interest. I thought the reading was excellent, loved it. This wasn't without it's flaws and for me the main issues lie with the illogical, easily avoided and ultimately pointless ending, which only seemed worse the more I thought about it. More importantly was the obvious set-up where Charlotte's psychometric talents, which were obviously intended to be used as a vehicle for some pre-historic exposition, were largely forgotten about after a certain point in favour of a simpler knowledge dump though the main protagonist. Despite these criticisms I feel it is definitely worth your time, especially if you are interested in high concept sci-fi or nanotechnology.